I haven’t tried too many eyeshadows from Urban Decay but I am loving what I currently own. 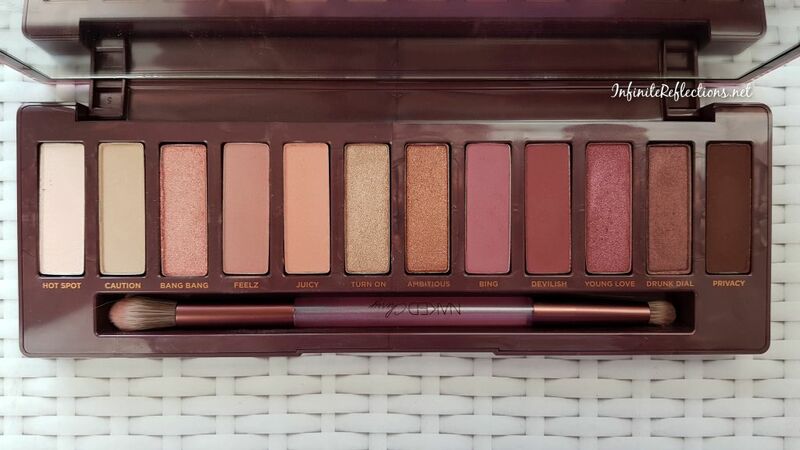 I have already reviewed the Naked Heat and Born to Run palettes on the blog, both of which are very staple palettes in my collection. So, I expected nothing less from the Naked Cherry. I love the packaging and the entire theme behind this palette. It has deep cherry coloured plastic packaging which feels very sturdy and sleek, but also has bit of a weight. Somehow, I find the Urban Decay palettes to be a little bit heavier than other eyeshadow palettes maybe because of their plastic packaging. I always prefer lighter cardboard packaging. Anyways, the palette has a nice sized mirror but because of the shape of the palette its not very functional for me personally. But, I love that the palette can lay flat on the table. The palette also comes with a dual ended brush, which I find really nice and useable. One side is a fluffy blending brush and the other side is a pointed dome shaped brush which makes it easy to do some detail work. 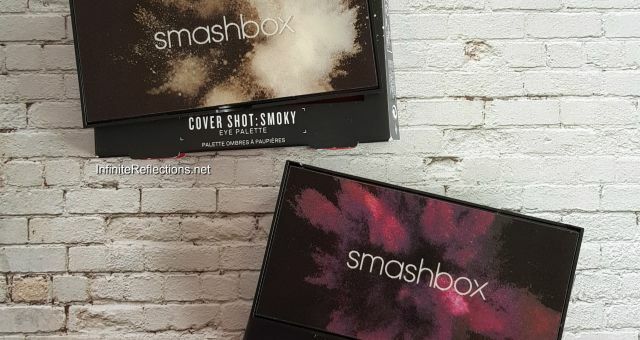 This palette contains 12 eyeshadows, with 7 matte eyeshadows and 5 shimmer shades. Each shadow pan has 1.1 gm/0.038 Oz of product. The palette retails for S$ 83 here in Singapore and is one of the higher priced palettes on Sephora. So, this one is a pricey one but the thankfully the shelf life of the palette is 24 months, which is great! Now, let’s see the swatches on my skin tone. 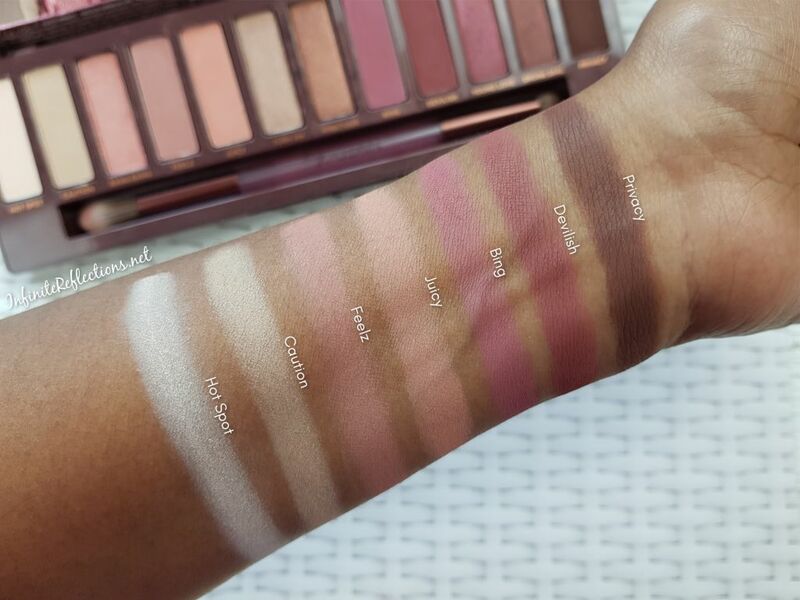 Here are the swatches of the matte shadows of the palette. 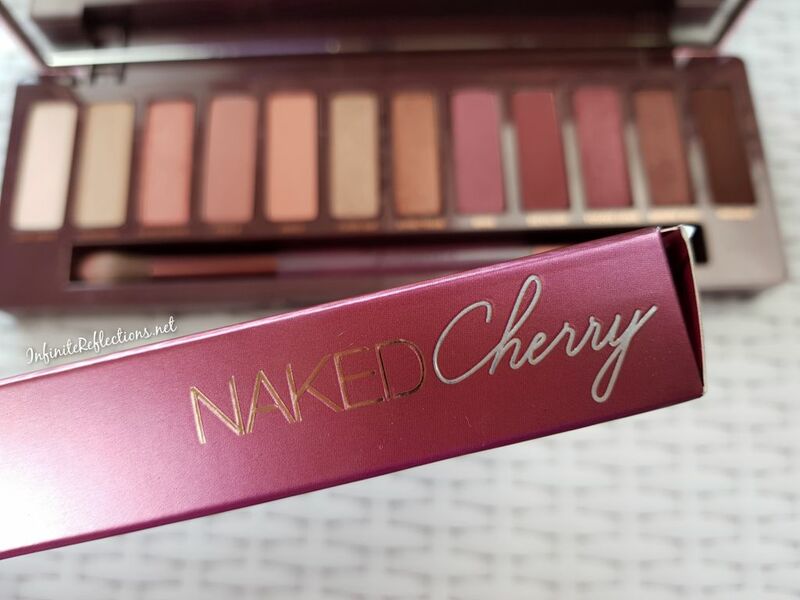 The mattes are really nicely pigmented, very creamy and work great on the eyes. They blend very nicely too and there is just tiny bit of fall out with some of the matte shades. I didn’t expect the deeper berry shades to be so creamy but they have a lovely texture and the colour payoff is great. Next, here are the shimmer or metallic shadows of the palettes. The shimmers are extremely smooth and nicely pigmented. But, they are not super duper intense on the eyes. Also, from the swatches you can make out that they are true shimmer shades and not intense foiled metallic shadows. So, these shimmers will be perfect for someone who is not too much into intense shimmery or glittery eye looks. Personally, these are like my everyday shimmer shades. LOL. Now, let me tell you what I think about this palette and whether you should buy it. 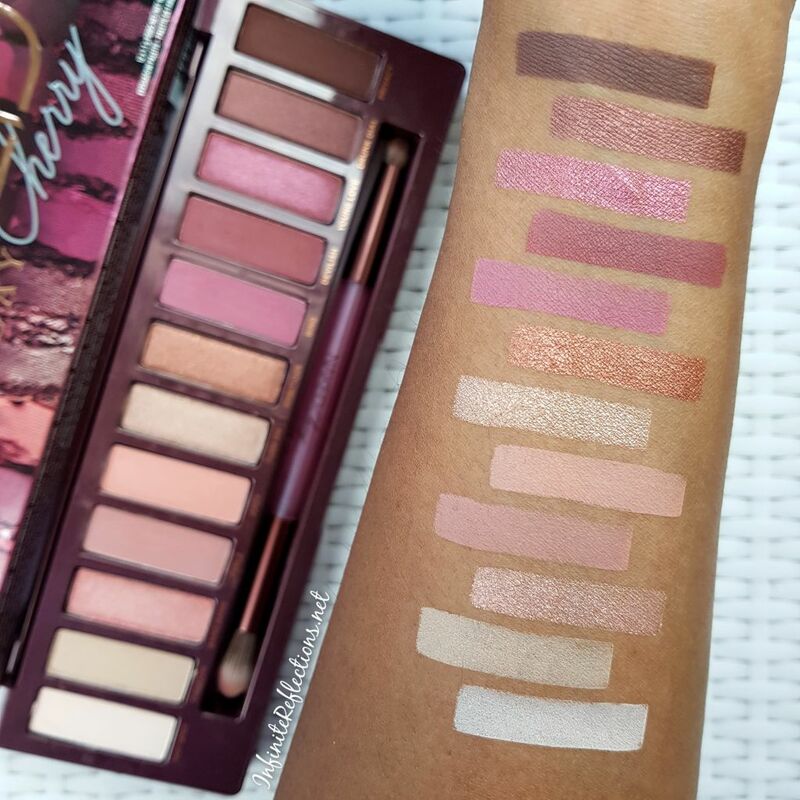 If you are like me and enjoy berry tones then you are going to love this palette. Its very easy to work with and we get very pretty looks. It may not be the most versatile palette but I think every look will be a likeable look. 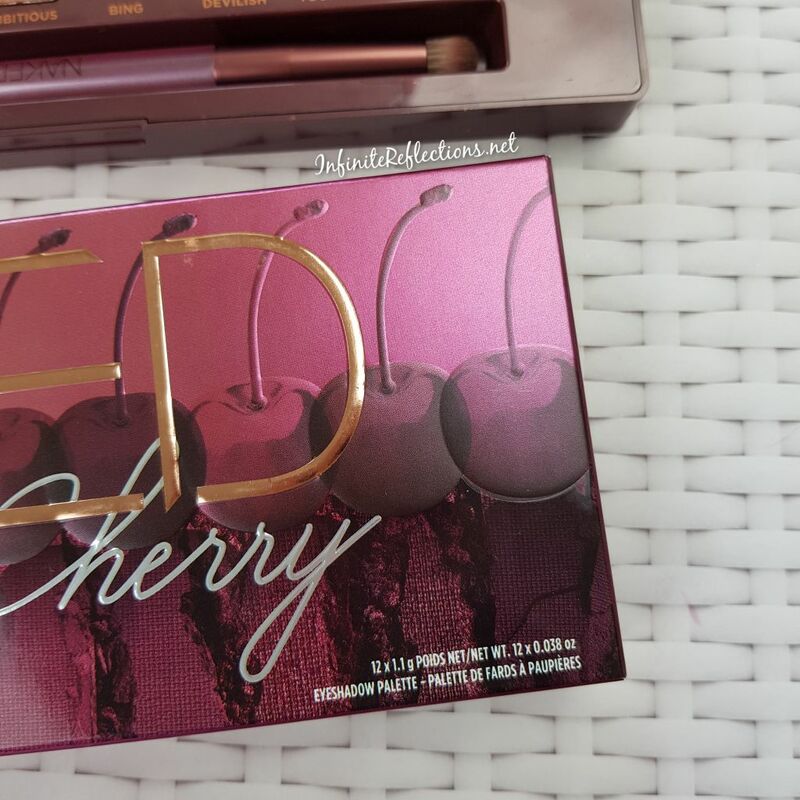 If you love berry tones, then you will not regret buying this palette. For me, this palette is more like a very everyday palette and I can use it regularly. Its possible to create simple everyday looks and a bit of an intense smoky look too. But, I think all of us know that this is not a ground breaking palette. The color scheme has been done a few times in some other palettes and you already may have these shades in your collection. There shades are nothing unique. 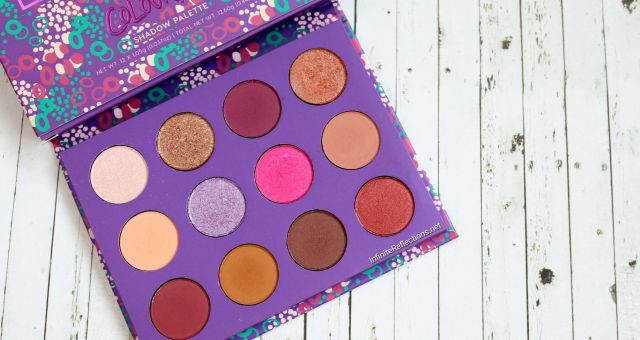 The most closest palette which I can think off the top of my head is the Colourpop Give It To Me Straight palette. 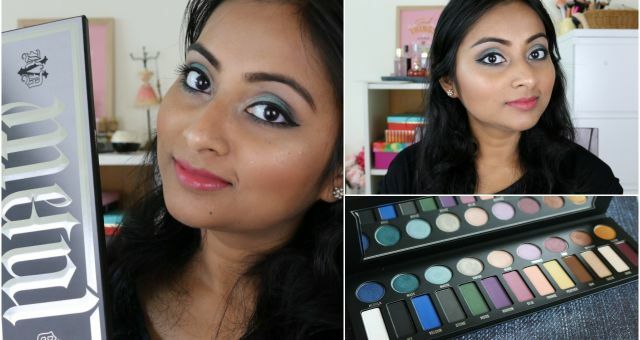 I absolutely love that palette and even though the colors may not be exact in both the palettes, its very possible to achieve very similar looks. 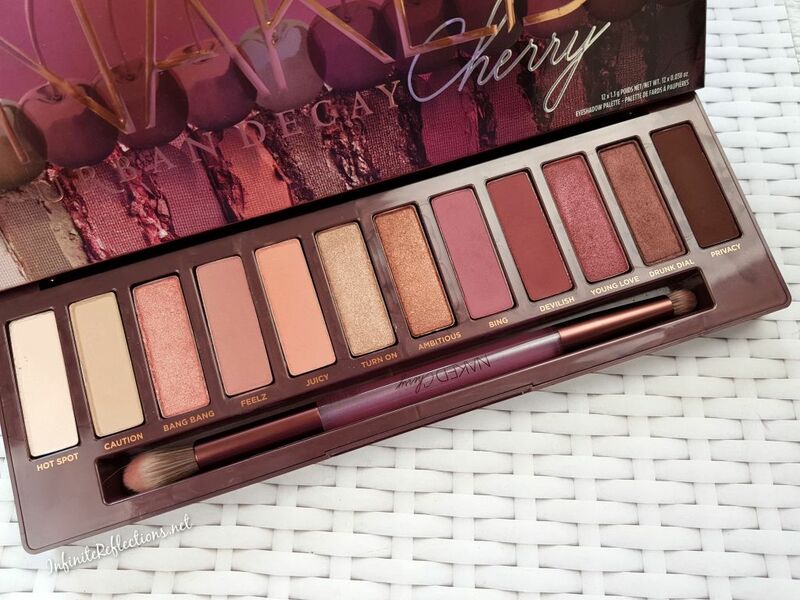 That palettes is amazing at a fraction of the cost of the Naked Cherry palette. There are couple of issues which I have with this palette. 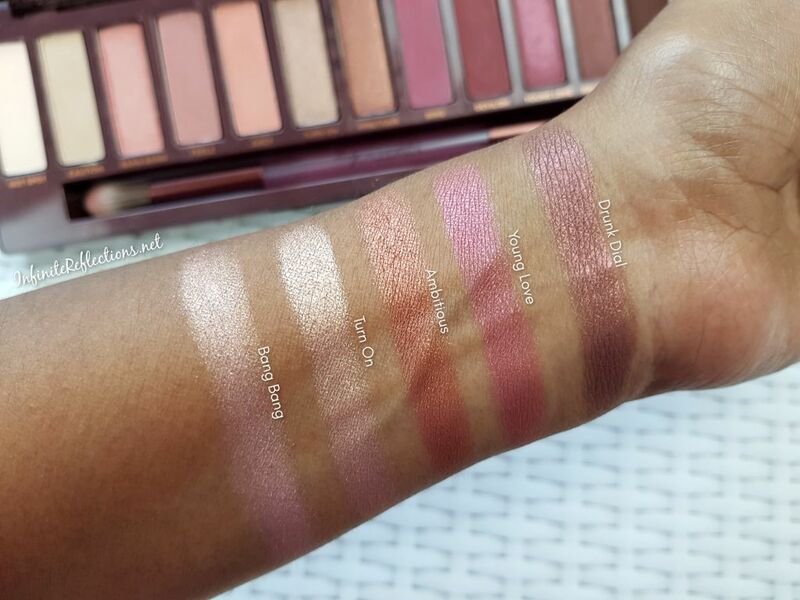 One obvious one is that this palette is not very versatile, but its more versatile than Naked Heat in my opinion. Secondly, on deeper skin tones, it’s not possible to get a lot of depth in the eye look. I have to pull in some other deeper shades to get an intense smoky look. The shadows also work best with an eyeshadow primer underneath. They look more vibrant and richer. A setting spray for the shimmer shades is also advisable for more intensity. Other than these, I don’t have any major issue with the shadows. 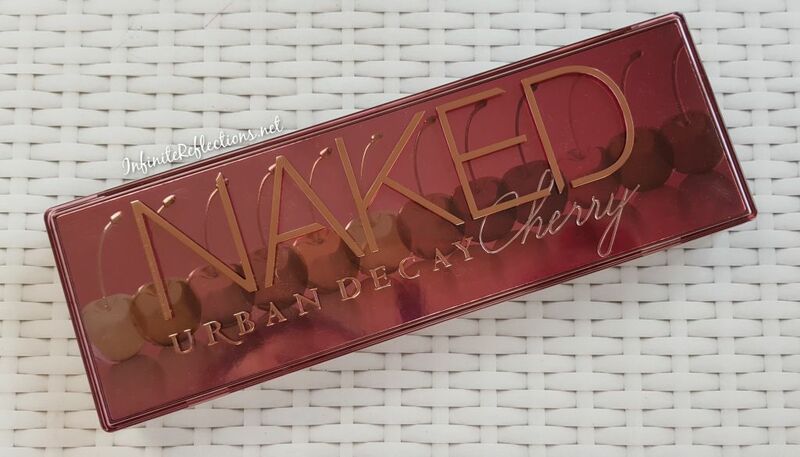 I love Urban Decay palettes and I don’t regret buying this one at all. Its a good quality palette and I know exactly what kind of looks I want to do. But, did I really need it? No. I already have similar colors in multiple palettes. If you are a beginner, and don’t have colors like these then I will absolutely recommend this palette. 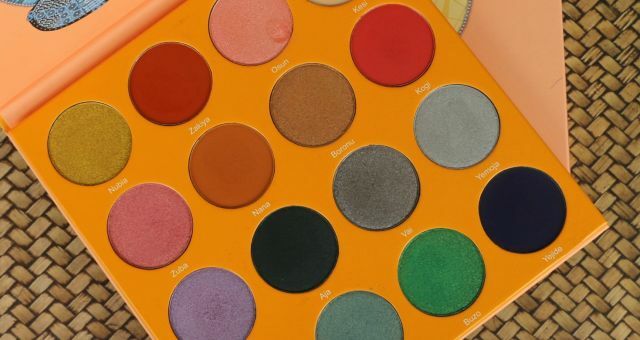 But, if you are an eyeshadow palette lover like me then I will urge you to take a look at your collection and decide whether you really need it. Beautiful palette with great quality, but nothing very unique, unfortunately. Here is a look with the most deepest shades in the palette. That’s all for this post. 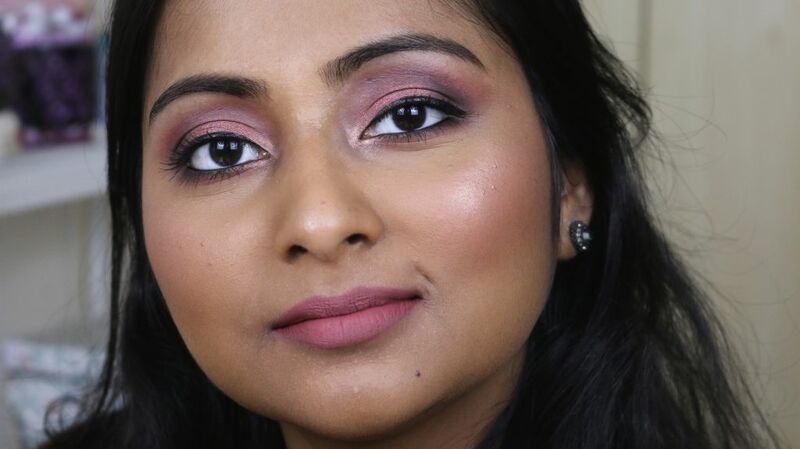 I am planning to show some easy looks with this palette on my YouTube channel. So, stay tuned. Though the shadows have amazing formula, the shades aren’t unique like you mentioned.